Water damage can strike in various ways, such as a sewage backup, pipe burst, or roof leak, but 911 Restoration Tucson will always be ready to get you the help you need exactly when you need it. When homeowners in Marana are in need of quick relief after a water emergency, trust that our water damage Marana team will work to get your property back into shape through quality repair and restoration. Whenever your home is suffering from a leak, it’s important that the issue be addressed as soon as possible to prevent any further harm like mold growth and drywall flooding. Time is of the essence so when you need a quick response that will protect your home, you can count on the Marana flood cleanup team to be there within 45 minutes of your call before the damage can spread. Water damage can be confusing and frustrating to deal with on your own, but once are team arrives to help you out, you can expect us to provide you with a free visual inspection and home damage estimate that will help us pinpoint the problem and recommend the best solutions. Our Marana water extraction team will be available 24/7/365 to provide you with the help you need. With our quick response and our around the clock availability, we can make sure your home looks good as new right away. 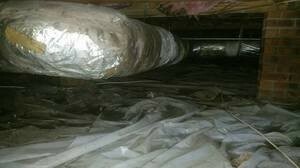 Water damage from issues like roof leaks and pipes leaks can eventually lead to mold growth. Mold releases spores through the air that can lead to several respiratory conditions, like asthma and coughing. Fungal growth can also speed up the deterioration of wooden components of your home like the rafters, walls, and floors. Look for visible black or pink spots on surfaces like the walls and floor. You can immediately feel dampness when you enter a room. You can smell a moldy odor within your home. Your books, furniture, and textiles are damp to the touch. To prevent these issues from affecting your home and your health, it’s best that water damage be patched up and mold be removed as soon as possible. If you detect any of those signs within your home, it’s best to have the Marana flood removal agents help you out. We will patch up the leak and use our advanced drying technology to get water and moisture out of your home. The Marana water damage restoration unit will then apply our mold remediation services to decontaminate your home from mold and any spores that may be on the premises. Our IICRC certified technicians can then provide the necessary restorations that will ensure that you and your home are given a fresh start. The Marana water cleanup pros have over three decades worth of experience in dealing with all kinds of water emergencies like roof leaks, sewage backups, pipe bursts, flooding, and water-based appliance leaks. 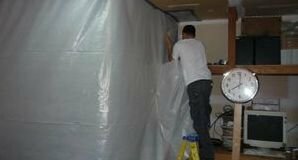 Because of the extent of our know-how, you can expect only the highest quality of water damage repair and restoration. 911 Restoration Tucson is the home restoration company that you can always count on to provide you with a fresh start. So, when you discover unwanted water in your home, give our water damage Marana team with 911 Restoration Tucson a call today!